Welcome to Part 1 of my introduction to Black Seed Oil and it’s health benefits. It’s been hailed by some as “a true panacea”, “a universal healer” and “a miracle herb”. It’s also been prized for centuries by ancient cultures for the treatment of a wide range of ailments. So what is Black Seed Oil about? 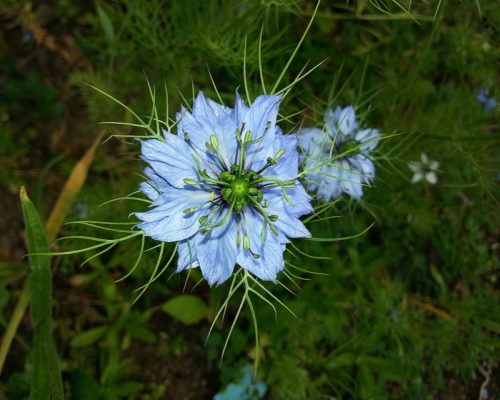 The oil comes from the seeds of the Nigella sativa plant and is traditionally known in Middle Eastern countries as Habbat-al-Barakah – “The Blessed Seed”, due to its powerful and abundant healing qualities for treating many diseases and ailments. It is an annual flowering plant from the Ranunculaceae family and is native to south and southwest Asia. Technically, it is part of the buttercup family and the seeds are small, black and crescent-shaped. The seeds are also used as a spice in Middle Eastern and Indian dishes – including breads, salads and cheese. The flavour and smell is bitter and pungent, similar to cumin and oregano. The earliest written reference to Black Seed is found in the book of Isaiah within the Old Testament (28:25-27). 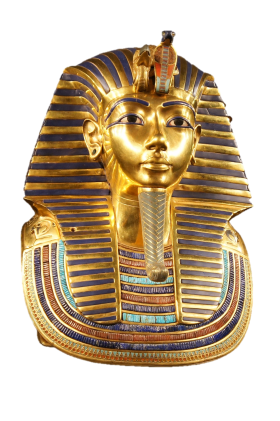 The oil and the seeds were also discovered in the tomb of the famous Egyptian King Tutankhamun. Cleopatra, renowned for her beautiful complexion and lustrous shiny hair, is known to have used it for its health and beauty qualities. Hippocrates (aka “The Father of Medicine”) regarded Nigella sativa as a valuable remedy in liver and digestive disorders. The healing use of Black Seed extends to the disciplines of Ayurvedic and Chinese medicines – treating diseases such as haemorrhoids; flatulence; fever; diarrhoea; skin diseases and infections to name a few. Traditionally, the seeds of Nigella sativa have been widely used in the treatment of various diseases and ailments including issues related to the respiratory system, digestive tract, kidney and liver function, rheumatism and related inflammatory diseases, cardio-vascular system and immune system support. Much of Black Seed’s traditional characteristic healing properties have been extensively researched, investigated and validated in biomedical literature. Since 1965, there have been over 1000 different scientific peer-reviewed articles that have been published about the positive effects and health benefits of it. The traditional uses for Black Seed have been the foundation of many scientific studies made so far. Over 150 studies have been conducted over the last five decades purely to investigate the chemical and pharmacological properties of the small yet potent seed. This has clarified its widespread and popular use as a natural remedy throughout history and still continues to this day. "A Remedy For Every Illness Except Death" - Part 1- Discover what is black seed oil about; it's historical use and the modern research and studies into it. Black seed oil it’s an amazing product. It does miracles on cough relief, you just have to gently massage with you fingers your chess and your back and let the oil do the miracle. It’s also excellent to be used as nasal spray in case of flue or cold. As you already mentioned, this oil is considered as powerful to be the remedy to any disease. Thanks for stopping by. You must’ve used Black Seed Oil before! Yes, for coughs it can be rubbed on the back and the chest. Also, you could add 1 teaspoon of the oil to a bowl of boiled water and inhale the vapours – just make sure a towel is placed over the head. I didn’t know that black seeds would have so many benefits. My mom once talked about the benefits of black seeds but I must admit I didn’t pay attention to what she was saying back then. But reading about its benefits makes me want to learn more about it. I’ll sure try it out in the future. Thank you for sharing this helpful and valuable information with us. I’m sure we’ve all been there when our mums are trying to teach us what is healthy and good but we don’t pay attention! Being a mum myself now, I’m experiencing “what goes around, comes around” with my son! I’d love for you to let me know of your experiences of using this. I am a huge fan of herbal remedies to better one’s health, ranging from water and pine mixtures all the way to oils like black seed! I knew that black seed oil has been around to help cure certain illnesses, but had no idea for how long it has been used! The kidney and liver remedies that you mentioned seem right up my alley, as my parents are getting old and don’t like to pay for over-priced pharmaceuticals. I think I am going to recommend this oil for them, as you mentioned it could be used in breads, salads, and cheeses and it won’t take away from any other things they eat. Thank you! Not only are conventional meds expensive but they almost always have side effects attached to them. They tend to just suppress and mask the symptoms without addressing the underlying issues. With using herbs and plants, they’re more holistic which means they treat the whole person rather than just relieving the symptoms. This creates a balance of the mind, body, spirit and emotions of the individual, which in turn, boosts the body’s natural self-healing abilities. The beauty of using herbs for medicine is, it regards the body as a whole and unified system – rather than just a collection of isolated parts that can be treated with a quick cure. I hope you and your folks try using Black Seed Oil for your ailments and return to let me know of your experiences with it. Thanks for your positive vibes. I’m glad I’ve introduced to you the beauties of this amazing little plant. I’ve been using it for 8 months now on a daily basis and it has helped with my insomnia and hay fever. Hope you get to try it out for yourself and boost the immune system especially for this time of year. You’re most welcome. Let me know of your thoughts and comments on your future reads. Thanks for stopping by and have a blessed weekend. Peace be with you. Thanks so much for sharing such an informative article. I’ll be honest – I’d never heard of black seed oil until I came across your article. It was quite interesting to discover the numerous benefits. Naturally, since I had just come across black seed oil, I was intrigued to learn more about it and where it came from. Luckily you article was very thorough and answered all my questions. I’m really happy you found my post informative and helpful. Any further questions you have, please don’t hesitate to drop by and ask. Hey Teresa, I really enjoyed your article on Black Seed Oil. I had heard about it once and even bookmarkedthe article yet didn’t ever get back to it. Until I just read your article that is. I really appreciate you going into the history of it’s earliest written references and what cultures use it regularly.Stuff like that interests me, even though it might only stay tucked away in a tiny corner of my mind lol. I really love, love, love the infographic you made for the health benefits of Black Seed Oil, those are really cool. I see you have a “down the scientific rabbit hole” link to some scientific studies on this I’m going to just rest assured that there have been scientific studies or else I’ll lose a few hours or more researching lol. So lovely for you to drop by with your positive vibes. I’m glad you appreciate my infographs, I really enjoyed making them! Science and research studies really stand out above the ground for people to believe in as we live in such an age of science and technology. Having scientific studies backed up really makes the use of plants and herbs stand out in the herbal healing arena. Have a blessed and healthy week and peace be upon you both. 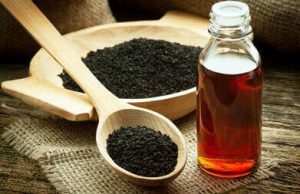 This post about black seed oil and its benefits is so interesting, especially the history that dates all the way back to the Bible. You mention that it is less well known in the West, which I can say is true, I’ve never heard of it. Although the article lists several common names for the seed, all the uses reference only the oil. Are there uses for the seed also? I notice at the end of the article the oil is shown for sale but not the seed. Thanks for taking time to educate people on the many uses of this versatile product. I look forward to learning more from you about other natural products and their uses. So happy you popped by and thanks for your question. The seeds are used traditionally in Middle Eastern and Indian cuisines, including bread, salads and cheese. The oil isn’t recommended for cooking as the heat can destroy the healing properties. The seeds and capsules are available here if you are interested. Happy healing and peace be with you. Black seed having its recognition since the days of the great prophet Isaiah, is remarkable and a blessing to mankind. I know it must have been farmed in some part of the world, what does it take to farm this wonderful seed? Can it grow anywhere? Does it have a common pest or decease that affects the farming? I love your understanding of this black seed, I will like to get involve the more maybe you can supply. I appreciate your comments and questions. I have been in contact with the company I use regarding their farming of the seeds and will get back to you as soon as I get a response from them! Thanks for stopping by and peace be with you. In response to your questions earlier – the plant is a hardy plant and can be grown anywhere depending upon the climate. It doesn’t have any pests or diseases that affect farming as it is a natural ant-repellent, so it doesn’t naturally attract pests or diseases. I hope that answers your questions. I know this oil and sorry to say that but the taste is horrible. I am from Algeria and it is well known there. My mom used to give us a spoon of black seed oil before bed-time. It is strong in the mouth and as a child you don’t really want to drink it. That said, it was very difficult for us to be sick, this oil is really miraculous. We never went to the doctor, we are protected in the best way possible. Even now, I am rarely ill. In algeria, It is called “zeit sinoudj” or “zeit habbat el barrakah” (zeit means Oil.) Now I live in France and I have two boys and I also want to protect them with that blessed seed oil. Even if I hated the strong taste of it. I don’t want to discourage your audience by the taste, I was a child I am now 29 years old. It is different. One thing we noticed as well is the smell of our pee and our sweat, it was actually smelling black seed. I still remember that special smell and I actually liked it. Thank you bringing back my memories. Happy you are talking about it. Lol, thanks for sharing your brief history into using this oil! Yes, I must admit the taste is quite pungent and strong for those who aren’t used to it. It’s possibly the reason why it’s best to take it with honey to disguise the strong after-taste. Plus, honey is a natural sweetener which has anti-bacterial, antioxidant and anti- fungal properties. Double remedy whammy! Thanks for imparting some knowledge about what the oil is called in Algeria, I’ll make a note of this to add it to the post. Take care and have a blessed week. Peace be with you. I have never heard of black seed oil before now.It seems like a good idea to start using it. 19 nutritional and natural compounds, that is a lot of different compounds. I think that everyone can use some sort of healing. Wow Cleopatra used it and I have never heard of it when it has been around so long. That is a lot studies that have been conducted over the last five decades. I highly recommend using it but then again I also highly recommend using any plant or herbs for healing the mind, body and soul! Glad you found it useful. Peace be with you. Thank you for this informative article about Black Seed Oil. I must say that I knew that Black Seed Oil had a few names but i did not know that it had that many. Note to self. lol. I have been using black seed oil for a good few years now and I use it in many ways. Love it, it is a staple of mine. I love the fact that you use the oil and would love to know how it has helped you. Do you take it for a chronic condition or as a home remedy for boosting good health? Wow! I have never heard of nigella sativa (black seed oil). I lived in the middle and far east as well as travelling to other Asian countries, I know there are many herbal remedies available. So this post is a fascinating read for anyone looking for natural remedies. Well done! I have a physical exam in a few days. So I will have to ask my doctor about black seed oil and any potential issues with my medications. It’s only NOT recommended for pregnancy or trying to get pregnant. Other than that, Black Seed Oil has virtually no side effects if taken moderately. It is a potent medicinal plant and best not to exceed the recommended dose of 3 teaspoons per day. It is wise to consult you doctor beforehand. I wish you well in your physical exam and peace be with you. I honestly believe that all different seeds and herbs are just a cure to literally everything that doesn’t require any kind of surgical intervention. I mean in past people lived somehow and used them to cure themselves and I believe that it wasn’t just a random thing, but tested knowledge. Thanks for the explanation it was useful. I totally agree with you there. Plants have been used for medicinal purposes for the health and well-being of mankind since ancient times and there is such an extensive amount of history and recorded knowledge surrounding the use of herbal medicines. Even conventional medicines have its roots in the use of herbs – until about 50 years ago, most of the entries in pharmacopoeias listing the manufacture of drugs, indicated an herbal origin. Thanks for stopping by and peace be with you. Thanks for your positive vibes and glad you learnt something from my site. Any knowledge learnt regarding your health is always empowering. Thanks for stopping by and peace be with you. A very interesting and extremely informative report on black-seed-oil with all the necessary data to back up what is written in the report. Going through the history and also mentioning modern uses is good information for everybody. I find the use of charts very useful. I was impressed by what is written here. I appreciate your comments and thoughts and happy you found the post informative. Hope you get read the remaining series as there’s more charts! 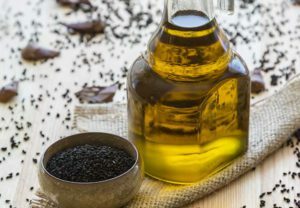 Thank you for this article on Black Seed Oil I have been doing much research with herbs, spices and essential oils lately and I do remember reading some details on black seed oil and some (or should I say many) of its benefits. There are so many benefits the western world is only starting to see and this is a great opportunity for those seeking natural solutions can certainly benefits from sites like yours. Hopefully natural healing will come back into the light and take us away from many of the other synthetic medicines that has helped in some ways but also created many more issues than before. Thank you once more for opening our eyes once more. I couldn’t agree with you more! The modern day conventional medicine has had amazing breakthroughs for certain ailments based on plants. However, the problem is that they find, extract and isolate a single active chemical from the plant and focus solely on that active chemical for it’s therapeutic value and disregard the other important factors that make up the whole plant. Extracted or isolated chemicals can be very potent and can cause effects that were unknown when the whole plant was used. Our ancestors knew the power of plants and their healing abilities by using and respecting the whole plant. I’m really happy you found the article helpful and wish you well in your ventures of positive healing with herbs and plants. Peace be with you. Black seed oil is no longer new to herbal medicine, it has carved out a distinct niche FIR itself and it is maintaining that niche. it answers to nearly all ailments. Well, you talked about death, death is not an ailment, but rather a passage to another world. I have seen series of recommendations to people about the black seed oil and testimonies are that it works like a wild fire 🔥 I love black seed oil…. Though expensive, but how much can be too much in place if good health??? Nothing. That’s a good point. As with all things natural and good for the health, it will be expensive. I go through one bottle of 100ml within 3 weeks which costs me £12.99 each time! But I know it works for me so I’m willing to buy it rather than buying a cheaper brand with cheaper farming and manufacturing process. I’m glad to hear you love Black Seed Oil. How has it helped you? Thanks for comments and peace be with you. Never heard about it, as you mentioned, the Western World. It is quite sad because it seems to have a lot of benefits, and a must have for everybody in fact. Now, I’m very curious about your second part, to discover more about it. But I will show it to my wife because this will help us. Thanks for stopping by. Hopefully the West is beginning to understand the powers and incredible healing powers of this seed and my hope is that we live in a world where plants and herbs will be used to heal all of humanity. I hope you return and let me know of your thoughts about my second post. Have a great bonfire weekend and peace be with you. You have alot of remedy but how do you mixed the black oil in your tea or can you mix in anything to drink? I also notice that you have many remedies for stress and anxiety which is a good thing because that is right up my alley. Can you buy these remedies in tea already or do you have to mix it in the teas? Your articles are good and their are many questions but i don’t want to take it up all on comments. You did very well on this topic and their is alot of it I don’t understand but i am will to learn because I think that it can help me with my stress and anxiety and also my depression. I don’t have my experience with the subject but I am willing to learn about it because it is interesting. My opinion of this topic is that it is wonderful and it can help alot of people and think that if you explain a little more about the healing method. It is a wonderful topic and it will do people a world of good. Thanks for your comments. The post is written as part of a series as there is so much information regarding what and how this oil works. I had to break it up! I also hope to write more future articles relating to this, so stayed tuned! The oil is recommended to take with honey or you can add to juice or smoothies. The seeds can be used to make a herbal tea. In answer to your question as to whether you can buy these remedies in teas, yes you can. Personally, I like making them using loose herbs so I know what I’m putting in and how much I’m using. Certain brands of teas will have a combination blend for whichever ailment you want to use it for. In helping with your current situation, herbs are by far the best medicine to use to treat the body as a whole, rather than suppressing the symptoms and having undesired side effects which you get from most conventional medicine. I hope you discover more about this amazing little plant and I’m happy to answer any questions you have regarding this. It really amazes me to learn that this black seed has got countless benefits to people’s health and that it has been in existence for such a long time. I’m working in the Middle East and I must confess that I see this stuff daily but I rarely use it because I dislike it’s smell. I didn’t know what I’ve been missing out in my body. According to this article, I think it’s more of medicinal than being food stuff and it’s worth consideration. Thank you for providing such a detailed information. I agree the smell can be quite off-putting and there is an acquired taste to it. That’s why it’s recommended to take it with honey to disguise the pungent after-taste. It literally is as one of my reader’s put it – “a pharmacy in a a bottle”. Those from the Middle East truly love this oil and it’s healing properties. I don’t think they would’ve named it “the blessed seed” otherwise!. I hope you do get to consider using this power-house seed and let me know of your experiences with it. 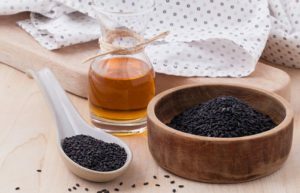 I am from the Western World, but I have heard of Black Seed Oil before – I just had no idea of the mad amount of benefits that are linked to it! I’m wondering if the black seed oil could maybe be added to a form of herbal tea – so you could maybe get the benefits of both? Also, what meals would you recommend adding this oil to? Lovely to hear from you again. The seeds can be used to make a herbal tea. Plus, they’re also used in cooking and are popular in Indian, Persian and Middle Eastern cuisine. It’s added to soups, bread, curries and salads. The oil itself isn’t recommended to use in cooking as the heat can destroy the beneficial properties. However, it’s fine to drizzle on salads which gives quite a pungent taste. Have a fireworks-filled weekend and peace be with you. Wow… I didn’t know black seed oil is called black cumin as well. I frequently use this black cumin to brine whole chicken before I roast it the next day. Its aroma smells really good and can bring out the taste of roasted chicken. But since it is still in “seed” form, will the effect be the same? I mean can it also improve respiratory system? Using the seed to cook is very popular in middle eastern and Indian dishes but I don’t think it will have the exact same effect when used in cooking. This is because it’s recommended not to be heated as this can damage the beneficial properties. Black Seed has been studied extensively for its biological properties and therapeutic potential and has shown to perform a remarkable number of distinct pharmacological actions in the human body plus there isn’t an organ or system in the body that isn’t positively by this power-house seed. I’ve written an article on what black seed oil is good for here. I love how thorough this article is & to think that this is only the first article in the series! Thank you for the information. I love learning about how to care for myself and NATURALLY. Will definitely be returning to this site for more insight. You’re most welcome Stefani, glad you enjoyed the read and hopefully benefitted from it. Have a blessed week. Amazing find, this article! I’ve never heard of black seed oil and was fascinated to read of its amazing healing properties. I am very keen on natural healing and promoting health through natural remedies. Will look into purchasing some black seed oil now, not only for my children and myself but also for my brother who has chronic asthma. I’m very happy to have enlightened you with this incredible little plant. It’s not called “the blessed seed” in the Middle East without reason! Thanks for reading and hope you return with your experiences of using it. Have a great week. I remember my first run in with the Nigella Sativa. A very unique looking genus of plant that almost looks like it inspired a Hollywood alien movie. Yikes! I have always been intrigued by interesting looking plants and wondered what uses this plant could possibly have. Imagine my shock when I realised I had been eating black seed in naan this whole time! Regardless, this is a wonderful article and I absolutely enjoy reading about cultural and holistic remedies. plants are such a blessing and full of beneficial goodness. It’s finding the right ones to help you that can be tricky. Nigella sativa has got to be one the most fascinating plants I’ve come across in my studies and research and I’m so happy you liked the article and that you eat it in your nan bread! Thanks for visiting. It’s really eye opening to see such herbs that can work on a wide variety of diseases. I have never heard of black seed oil. What interest me is it works for autoimmunity as well. I know someone close to me who has autoimmune disease for a long time. Can this oil treat or heal autoimmune disease totally? Typically doctors don’t ask to take such type of supplements or herbs so I’m not sure if they will allow to take this. thanks for reading and glad I’ve introduced the topic of Black Seed Oil to you. I have included some research articles on the positive effects of Black Seed on certain autoimmunity diseases FYI….. I hope you find them useful. Have a great week. Wow this is amazing! I believe in everything natural. I’m so glad to have found your website! I’ll be following your articles from now on! And I’m also hopping over to read about herbal teas for skin, as my life is focused around that now, trying to heal two of my children from their eczema and topical steroid withdrawal. And it also looks like I could have some use of this black seed oil for my children, seeing their properties include antifungal, antioxidant, anti-inflammatory, etc. so happy you found my article helpful. I totally understand your quest to find an alternative to steroid use for eczema and eczema in general as my 4 year old has had eczema since 3 months old. Like yourself, I went down the path of conventional treatment for it and understood the drastic side effects of using steroids that it spurred my pursuit to go natural in treating his eczema and his health in general. He has started to take the ‘mild’ Black Seed Oil as it is recommended for infant and children under 8 years old; also for those who are ‘sensitive’ or if you suffer from severe allergies. I’ve started with 1/2 teaspoon honey (raw is best) with 5-6 drops of the oil on empty stomach, first thing in the morning (bout 20-30 mins before breakfast is ideal). I will hopefully be updating his (and mine) progress on using the oil. I have included some research studies on the positive effects of Black Seed Oil and the Skin and hope you find it useful. I haven’t used black seed oil before. It’s very informational. I never knew lots of uses and benefits are there by using just one medicinal herb. I am fond of using anti-oxidant supplements. One day, I may try the effect of this herb on me. Thank you for this. I’m happy to have passed this wealth of information to you and wish you well in finding it beneficial to your health in the long run. I have included a research study into the antioxidant activity of Black Seed Oil. Hope you find it helpful. Thanks for your question. I’m not sure if Amazon sells or ships this outside the US, but I have contacted and checked with the company that I use and they do. They’re called The Blessed Seed and they do ship to New Zealand. The standard economy shipping is free. They have an option for tracking which customers can pay for and they do strongly recommend you opt for this as it is a long distance to cover. The tracking option price will depend on what item you order and how much. For example, a small 100ml bottle will cost $3.59 USD or a large 1 litre bottle will cost $7.19 USD. They ship from Germany and all the prices will be in USD. To get the prices, head over to their site here. Go to the top of the page for the countries list, and select New Zealand. Then add the items needed in the basket, when you view the basket you will see the tracking option price. Estimated delivery time to NZ is 17 working days once shipped. I hope that helps and wish you well in using Black Seed Oil. Please visit back and let me know of your experiences. Peace be with you. Within the last week I stumbled upon this oil online when I was researching about hair loss but had to idea of its many health benefits. I’ll definitely be looking into getting some. Thank you! I’ve included some research regarding Black Seed Oil and hair loss FYI. Wow you really went above and beyond with this article. I found myself enjoying the read. 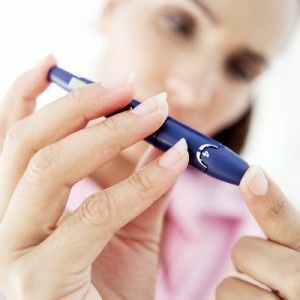 I am diabetic type 2 so I think ill take a look at black seed oil. I love how you broke down its history and then explained its benefits for all sorts of illnesses. Glad you enjoyed the read. There’s a lot oh history regarding this and surprisingly, not much people in the West have heard of it! I hope you find it beneficial and return to let me know of your experiences. Take care and have a great weekend. This was an amazing article and so happy I found it in my search for hair loss remedies. I tried biotin and it didn’t help at all, and thinking that the hair loss is due to hypothyroidism which I have, and taking levothyroxine for it. Also, my finger nails are very thin and brittle, and seem to be splitting all the way up the nail bed. Would black seed oil help? Would I be able to rub it onto my fingernails? What about my scalp? Thanks so much for any information you can provide…! a previous reader was asking whether Black Seed Oil could help with hair loss and I included a few research articles for them regarding this…. From my research, massaging the oil all the way to the roots and leaving on for an hour before rinsing off with shampoo can help with hair loss. As with any herbal treatment, patience and diligence is a must- at least one to two months to see any difference. I would certainly try to massage the oil onto your nails to see if it can help with your weak nails as well as ingesting it too. I wish you well in your health and hope that Black Seed Oil can help with your ailments. Peace be with you. Wow!!! This is a very well written article. I never knew about Black Seed Oil. It is amazing that its been known to help with all these different types of diseases. I will have to make sure I tell my parents about this. Thanks for all the info. so happy you enjoyed the read. I hope you and your family find Black Seed Oil beneficial for you in the long term. Thanks for visiting. Hi Teresa, This is amazing information and judging from all the interest shown it is going to be looked for all over. I know I am going to try this out. Have been looking for something that will help for some of the ailments you mention. I hope you return and let me know of your experiences with it. Peace be with you. thanks for visiting and glad I’m able to introduce Black Seed Oil to you and hopefully you will benefit from it for long term health. I’ve been taking it now for a little over a week and I have noticed a big difference. Having been plagued with broken sleep for the last few years since having my son, I have developed insomnia – tossing and turning in bed for hours trying to fall asleep and when I do sleep, I’m woken up by the littlest of sounds. This last week, I’ve noticed I have been falling asleep a lot quicker and having deeper sleep than before. Although, when I wake up I’m feeling tired (I guess this is due to lack of sleep catching up to me after all these years! ), I do feel a big difference in my sleep and feeling more positive about it. I have increased my dosage to 2x teaspoons with honey now and will hopefully write a follow up post soon. I hope you return to read it and I hope you find using Black Seed oil beneficial to you too. Take care. I loved reading your article, I can see a great amount of research, as a Muslim I have to say that black seed plays a vital role in our households, I personally have been using black seed oil as an alternative to anti congestants for many years and it works wonders as I believe in nature’s healing, I also use black seeds as a spice When I’m cooking, it gives an amazing taste to the food. I certainly agree that Black Seed plays an important role in Muslim households. My husband has been using it since he was a child and raves on about it all the time. I only truly discovered how good it was, a few years ago, when we went back to his home country of Egypt and used a Black Seed Oil product from an Egyptian health company and thought how useful and beneficial it was. It is my hope to enlighten my readers from the West about the wonders of this little plant that is so hugely popular in Islam and the Middle East. Thanks for reading and peace be with you. Great article, Teresa. I’ve never even heard of this seed much less imagined all it could be capable of. It’s too bad the oil can not be heated because then you could fully implement it into foods but I guess it could be incorporated into salad dressings and things like that for cold meals. I am curious though, do you know where these oils are produced today? Yes it’s a shame it loses its properties once heated but as you’ve mentioned, I’m sure it’ll taste great in a salad or as a dressing. Adding honey to the salad will increase the potency as Black Seed Oil and honey are usually recommended to take as a dosage. I’m not too sure where the actual oils are produced today but the seeds are cultivated in many countries including: Egypt, Saudi Arabia, Syria, India, Pakistan, Turkey, Ethiopia, France and Germany. Hope that helps. I have never heard of this before. This is some great information. I am a senior now and as I grow older I am leaning toward healthier ways to combat the process of aging. This may just be it. Thank you for the article. As I mentioned in the article, not many people living in the West have heard of Black Seed before and I’m really glad you found it useful. It’s suitable for all ages. My 4 year old takes it on a daily basis although the dosage is much less than an adults. I hope you return to let me know of your experiences with this powerful seed. Peace be with you. I have never herd of black seed oil much less all its uses. Im always looking for alternative medicine for my auto immuned disease rather than the toxic drugs they proscribe. I may have to try black seed oil to see if it helps. Black Seed Oil can enable your body to cure itself through being able to operate its own immune system effectively. It can help whether your immune system is underactive eg. in colds and infections or overactive eg. in autoimmune diseases and allergies. Hopefully, this research article can help in your quest. Thanks for reading. brilliant article, really like the detail you have given. I didn’t realise the black seed oil was such a powerful remedy, thanks for the advice and I’ll look into this. glad you enjoyed the read and hopefully you can benefit from it. Have a great day. I’ve never heard of it. It seems to be a cure for everything but I don’t see psoriasis on that list? I wonder if it would help? I will do some more research on it. although I’ve not mentioned psoriasis, I’m sure Black Seed Oil is able to help due to its powerful antibacterial, anti-inflammatory, anti-fungal and anti-microbial properties. Hopefully, this scientific research article may help you understand how it can work for psoriasis. Thanks for visiting. Wow, this is such a great article about black seed. Indeed it is very true that it has remedies for every illness except death. for every problem from head ache to diabetes to heart problems, every thing can be cured with black seed. Thank you for sharing. You’re most welcome Sarah. Thanks for stopping by! The hair loss stuck out at me. I recently lost my hearing, and during this process I have to take so many steroids and other drugs that has left me loosing a LOT of hair. I am taking supplements and trying various conditioners and shampoos. Nothing has really stood as making my hair growth start. So this interests me. Would I rub it on my scalp? Does it get rid of the DHT? I’m sorry to hear of your hair loss through the use of steroids and other conventional meds – I’m always saddened to hear of major side effects of modern meds in treating one symptom but not working to heal the whole body overall. Instead, affecting another part of the body. From my research, massaging the oil all the way to the roots and leaving on for an hour before rinsing off with shampoo can help with hair loss. As with any herbal treatment, patience and diligence is a must- one to two months to see any difference. I’ve included a few articles that can hopefully shed some light on DHT and Black Seed benefits. I hope this helps and wish you well in your understanding of this amazing little seed. This is a lot of information for a single seed. Looks like it has considerable benefits. I have type 2 diabetes so I am definitely going to research it further. Do you know if it has any benefits for increasing low testosterone? Is this ok to take with other herbs or drugs? You’re right there Curtis – there certainly is a lot of positive health info for a single seed! Hormonal problems is one aspect Black Seed Oil can help with. Hopefully these 2 articles can shed some light on your query. I’m currently taking Black Seed Oil and drinking different herbal teas a day and don’t see why it can’t be taken with other herbs. I would contact your health practitioner if you taking conventional meds though. Thanks for stopping by! Wow! I sure must get me some of this Black Seed or the oil. This is an incredibly informative post on something so profoundly good for our health. I will definitely bookmark it, thank you. Thanks for reading and glad you enjoyed the post. It really is an amazing little plant. Researching this has really been an eye-opener as it’s so powerful that so many recent scientific research have delved into it’s potency and what it can do to our health. Have a great weekend! This is a really interesting article. I have never heard of black seed oil before. I am amazed at how many benefits it has. Thanks for the information! yes, generally most people from the West wouldn’t have heard of this amazing healing herb – so glad to have made you aware of it and it’s vast benefits.